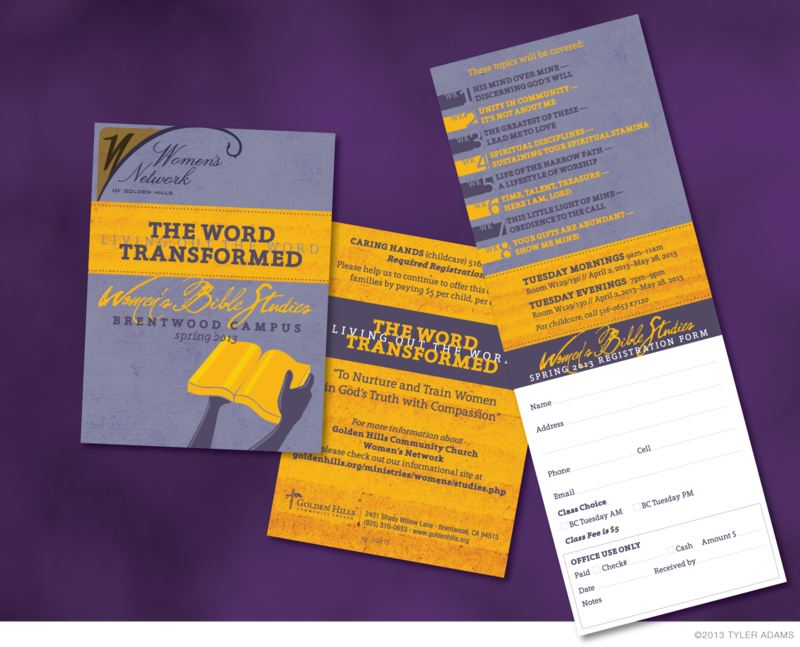 This is up a few weeks late, but this is the design for GHCC's Women's Spring Bible Studies brochure and registration card. The hand holding the Bible was drawn to match the style of the art on their other print materials. The design is simple, acting as a guide calendar that can be hung on a fridge so the ladies can see what the topic is week by week. The card opens up vertically with a registration card attached.